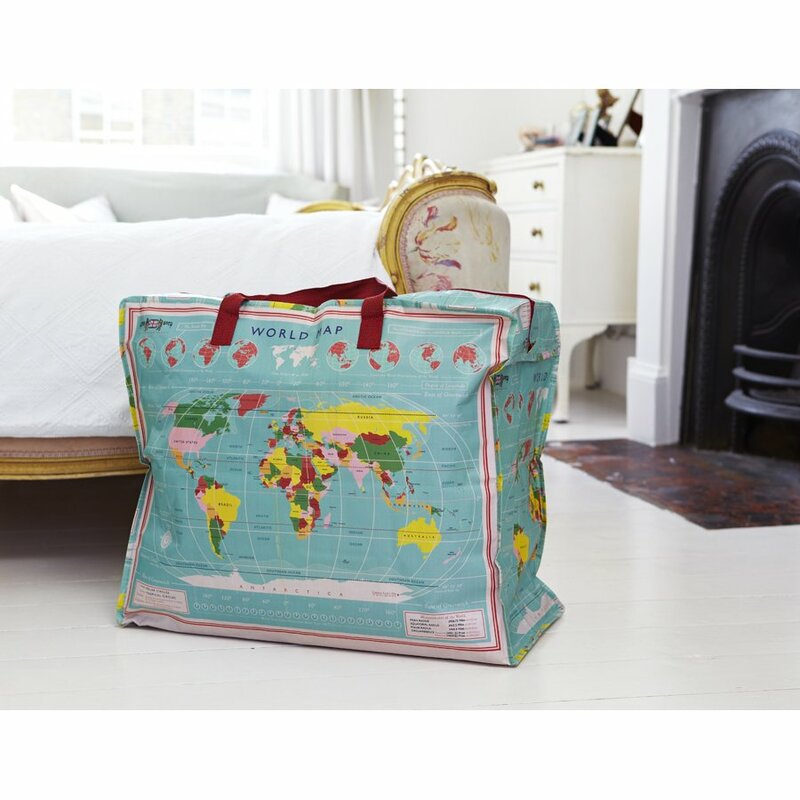 The complete vintage world map on the side of this large storage bag is really appealing and renders this versatile bag a welcome addition into any over-cluttered living space. Made from recycled plastic bottles, it’s ethical, hardwearing and easy to keep clean. Complete with zip fastener and nylon carrying handles. 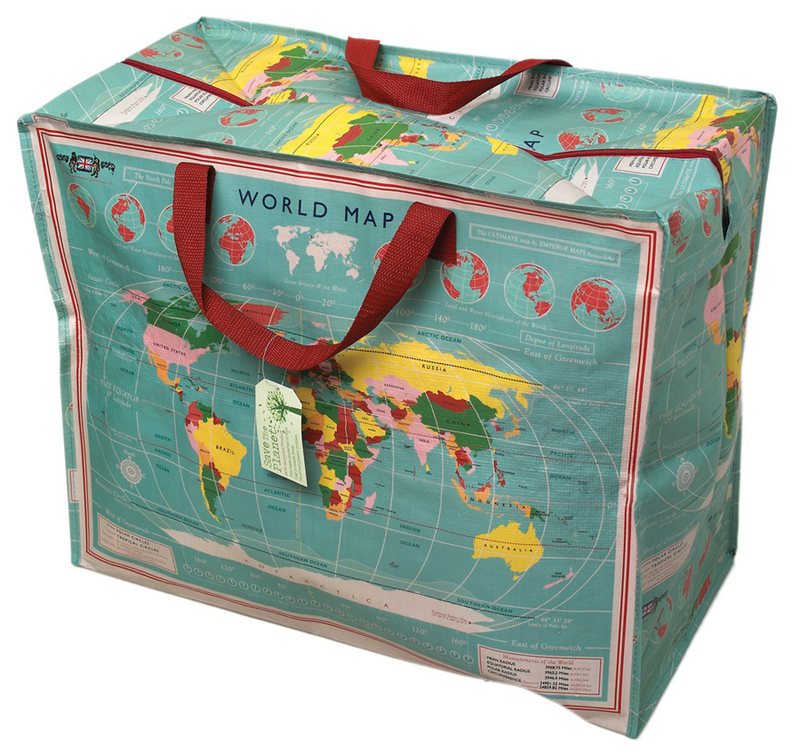 The Recycled Jumbo Bag World Map product ethics are indicated below. To learn more about these product ethics and to see related products, follow the links below. 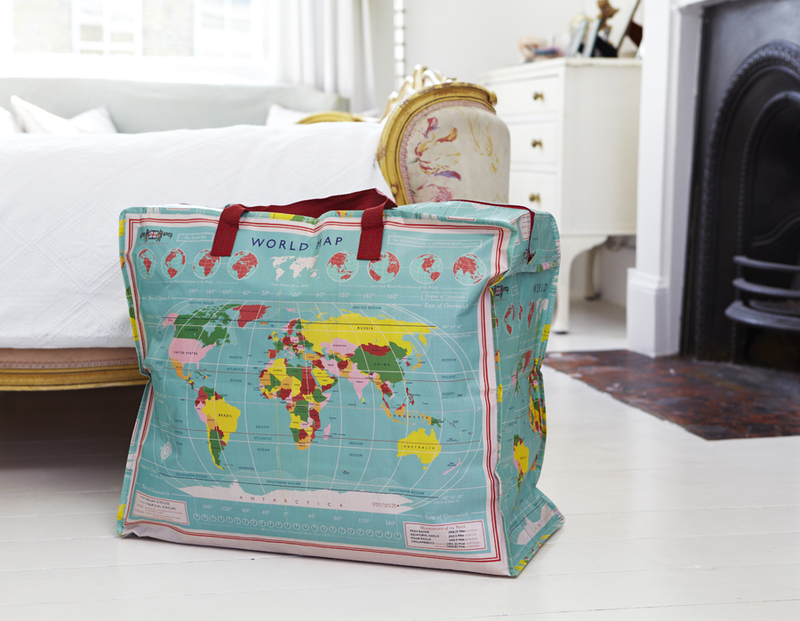 Jumbo Bags, just as promised for clothes and blanket storage. Recycled, funky and useful. A fun and useful product. 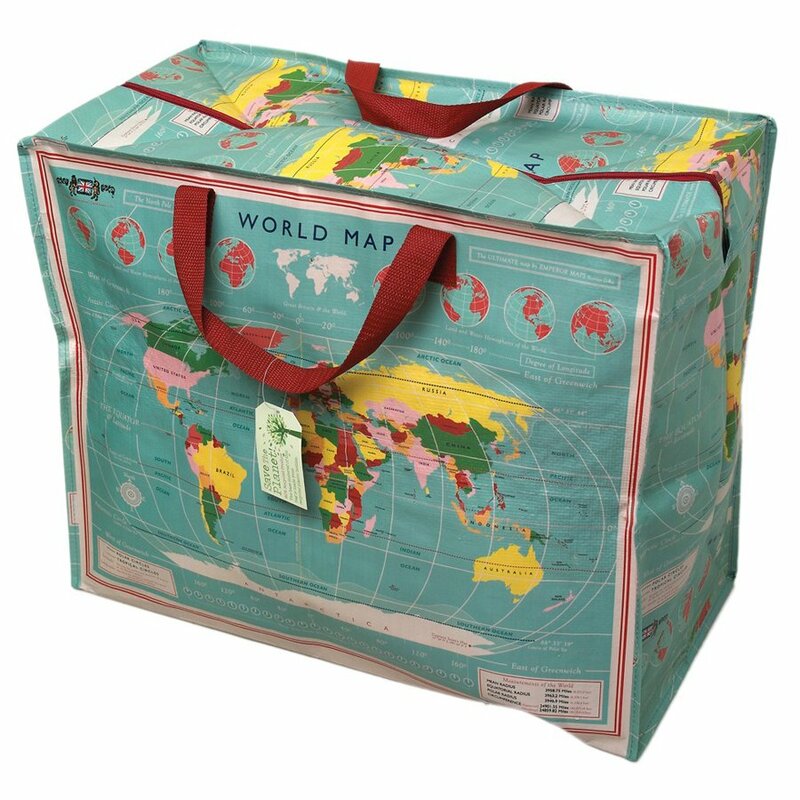 There are currently no questions to display about Recycled Jumbo Bag World Map.